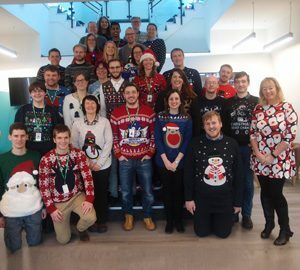 Once more the festive people of Malvern Panalytical proudly donned their Christmas jumpers in aid of Save the Children. There were sparkles, lights, knitted scarves, antlers, aliens, furry Santa beards and even Sonic the Hedgehog made an appearance! Thank you so much to all who got into the spirit of the day and took part. 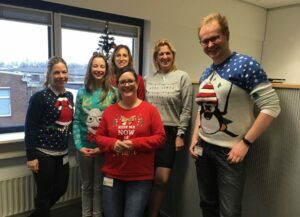 The colleagues from Malvern, UK, and Almelo, the Netherlands were also wearing a Christmas Jumper! Save the Children organizes this event each year and the donations received go towards funding emergency relief and longer-term projects. Here in the UK, they support young children living in poverty by improving their early learning – narrowing the gap between these children and their better-off classmates. Every penny counts and thank you for making a difference!